A couple who own rental property in Brown County, Wisconsin, have been charged with housing discrimination for allegedly requiring a mother of a teenager to be at home any time her son had visitors. The allegations, brought by HUD, also include the claim that the landlords’ lease agreement included policies and rules restricting and imposing limitations on families with children. The Fair Housing Act makes it unlawful to refuse to rent to families with children, express a preference or otherwise discriminate or impose different rules, restrictions or extra burdens on tenants who have children. According to HUD’s charge, shortly after the landlords accepted the tenant’s deposit and informed her that she had been approved for an apartment, they sought to impose an additional requirement that she promise to be present at home whenever her 17-year-old son had friends over. Unwilling to agree to this new requirement, the mother alleges that she was denied the apartment. HUD’s investigation found that around the time the mother and her son had planned to move in, the apartment was rented to two elderly tenants without children. In addition, HUD alleges that the lease agreement singled out families with children for burdensome restrictions. For example, the lease stated, “No children are allowed to play in the common areas of the building,” and threatened $100 fines and eviction for violations. 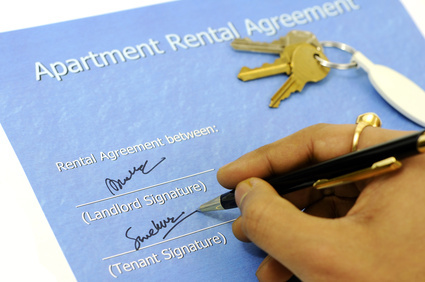 If convicted, the landlords face a monetary judgment, fines, and possible punitive damages. In addition, a court could order the landlords to attend training or restrict their ability to manage rental properties.